A North Korean woman crossing the street in high heels carrying a knock off designer handbag might not seem jaw dropping to an outsider, but these eye catching accessories indicate how quickly Western fashion has made inroads in the isolated communist state. For decades, North Korean women have been made to wear ill-fitting state sanctioned clothing with strict rules about skirt length, color, and style. But now, select North Koreans have the means to buy smuggled clothing and accessories (formerly from China, but now more so from Japan), according to a report in London-based culture magazine Dazed. And they can also often afford to bribe police that might penalize them for violating the state dress code. 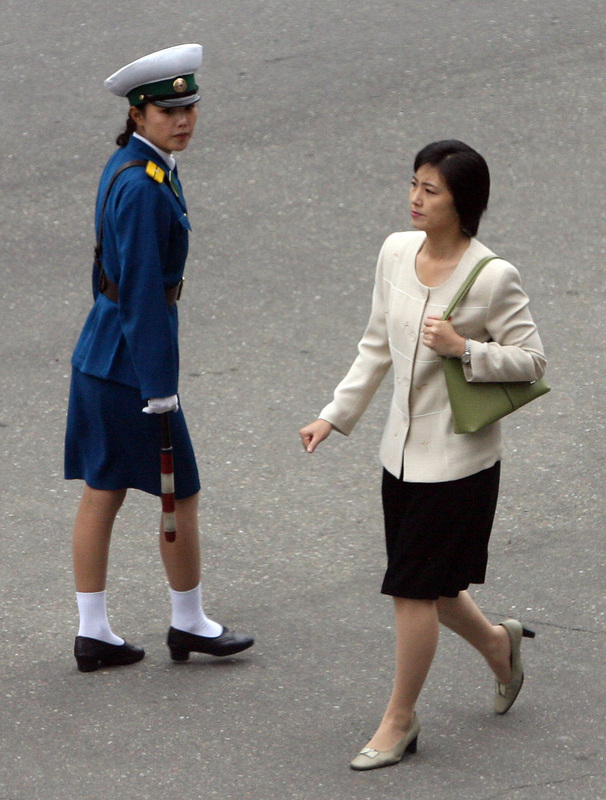 North Korean Supreme Leader Kim Jong-un’s wife Ri Sol-ju has become somewhat of a fashion icon, as one of the few women in the county who can afford, and who is allowed to carry a Christian Dior bag, and wear high heels. Her influence, along with the South Korean drama series and American movies that are smuggled into the country on USB drives, are driving the desire for goods from the outside world, according to Dazed. Blue denim has long been banned in North Korea because it symbolizes one of the so-called enemies, America. North Korean women have also been opting for tighter fitting jeans to look more fashionable, and blue jeans have been seen on the streets of Pyongyang, according to Dazed. Blue denim has long been banned in North Korea because it symbolizes one of the so-called enemies, America. In North Korea, if jeans are worn they must be black. Skirts should be knee length, and dyed hair is not permitted.